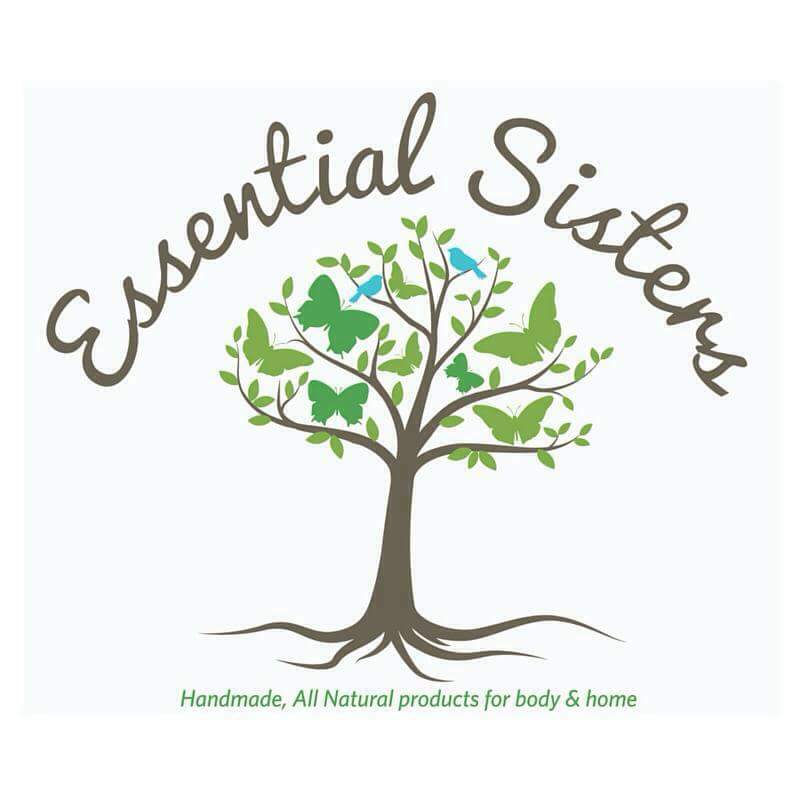 Give your everyday necessities a healthy makeover with Essential Sisters’ luxurious daily essentials, aromatherapy products to nourish the skin, uplift the soul and even refresh your home. We are proud to say our products are carefully handmade in small batches with premium all natural ingredients. We believe in label transparency, each and every ingredient we use is listed. All colors, flavors and aromas are naturally achieved with oil infusions, herbs, produce (fruits & veggies) and essential oils. The essential oils used are 100% pure therapeutic grade, the plants and trees used for these oils are organically grown and maintained assuring no hidden chemicals in the essential oils. We use organic unrefined ingredients as often as possible, less processing is typically better for nourishing the body. Most of our ingredients are locally sourced. The ones we have to order are only ordered for our products after carefully researching a company and placing a “test” order. We look for ethically resourced and sustainable ingredients. Our products never contain synthetic fragrances, flavors or colors, parabens, sulfates, phthalates, palm oil or aluminum. We do not test on animals. If you have an allergy or would like a product without a specific ingredient, please let us know, in many cases we can make substitutions. We like to minimize waste so many of our items are packaged in glass jars or tins which can be washed and repurposed for future use in your home. We are adding new products frequently & sharing online. We post about upcoming shows & markets, occasional coupon codes and more on social media. Please be sure to follow us on Facebook, Instagram, Twitter, Pinterest and Etsy to keep an eye on it all! Thank you for making your day essential with Essential Sisters! I purchased your lavender deodorant from Pickled Pickles in Oxford. I have a corn allergy and signs of tumors in my R breast. I wanted a deodorant that was free of corn and corn by products and aluminum. LOVE LOVE LOVE, this deodorant!!!! Thank you for trying our deodorant and for taking a couple minutes to let us know how you like it!! We are so happy that it is working well and helps you avoid corn & aluminum! Please contact me as soon as possible. I would love to have you as a Sponsor, Speaker/Workshop Instructor, and Vendor at the 20th Annual Pennsylvania Herb and Garden Festival. I can be reached at 717-433-2776.